The Local Phenology Leader Certification Course provides you with the materials you need to lead a group of observers in data collection for Nature's Notebook. The USA National Phenology Network’s Local Phenology Leader Certification Course is designed to help you establish a Nature's Notebook citizen science program. It is most appropriate for those interested in developing long-term phenology datasets and long-term engagement programs (not just one-time opportunities) using Nature's Notebook. The course is online and interactive; participants work with a cohort of others across the county and with USA-NPN Outreach and Education Staff to gain the skills need to develop a program plan, recruit volunteers, collect observations, analyze observation data, and collaborate with community partners. The Local Phenology Leader (LPL) Certification Course is an interactive and intensive 10-week, 60-80* hour Course requiring participation in a combination of online assignments, group discussions, and the development of an individualized program plan for phenology monitoring with Nature's Notebook. 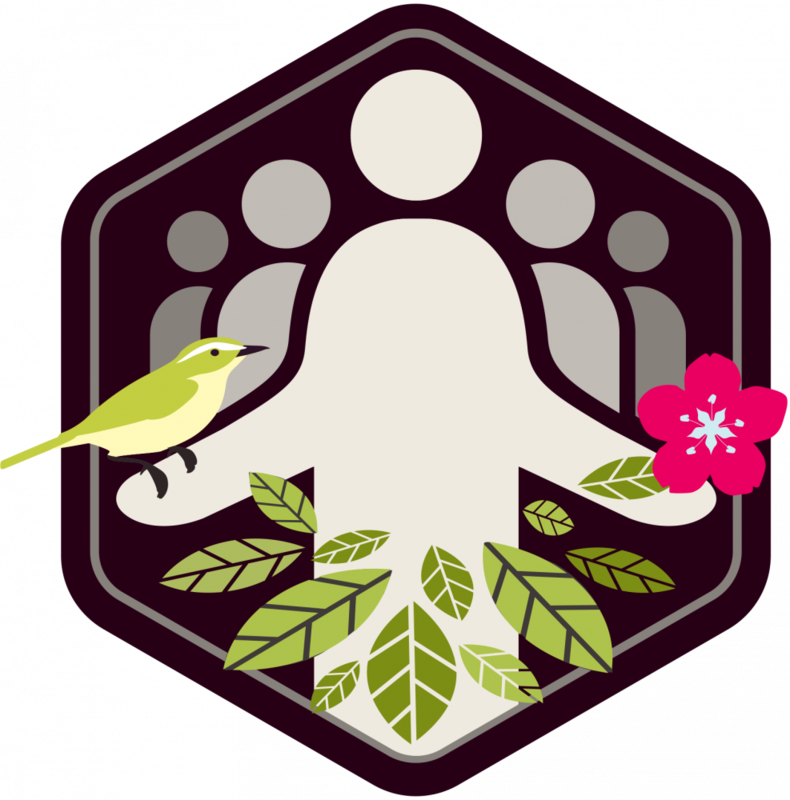 Participants must obtain a score of 80% on the overall course to become a Certified Local Phenology Leader, an award that designates trained leaders in Nature's Notebook system and highlights them on the LPL Certified Leaders page. NOTE: this is not a class designed to teach the specifics of the phenophase protocols and intensity measures, although you are introduced to them. There are resources on our website, such as our Primers, designed to take a deeper dive into those things and we periodically host advanced trainings on those subjects. This course is designed to get you the resources you need to begin thinking about implementing a long-term phenology monitoring program using Nature's Notebook at your site. At this time we are only able to enroll participants who are in the United States and able to contribute observations to our Nature’s Notebook phenology monitoring program. The cost of the course is $55.00. If you'd like to apply to be considered for the next cohort, click on the Interested? link below. For more information on Local Phenology Programs and Local Phenology Leaders, see our Local Phenology Program Planning Guide. This Guide also serves as the course Handbook. *Participants should plan to spend about 5-8 hours a week on the assignments. Depending upon your experience it may take slightly more time each week. 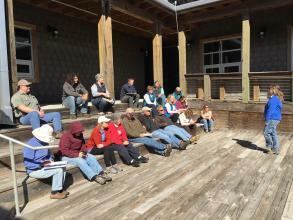 What are the benefits of becoming a Certified Local Phenology Leader? 1. You will learn how to create and implement a sustainable long-term Nature's Notebook phenology monitoring program that lasts for more than 2 years. 2. If you successfully complete this Course, you will be recognized as knowledgeable about the USA-NPN monitoring and programmatic protocols and are able to train others. A flag in our database will indicate you are a "Certified" Local Phenology Leader enhancing Quality Assurance of the National Phenology Dataset. Your achievement will be publicly recognized on our website. 3. Join a community of other leaders, some of whom are just getting started and others who have been monitoring with volunteers for over 10 years. There are monthly meetings available for you to ask questions and get fresh ideas to help you with your programs. Develop a programmatic approach to initiating, maintaining, and evaluating a sustainable multi-observer Nature's Notebook program. This is an all online, interactive, 10-week (approximately 60-80 hour) course, hosted in an online course management system. The cost of the course is $55, which in addition to the Certification, includes a copy of the Botany Primer and a shirt embroidered with the Nature's Notebook logo OR a Nature's Notebook Certified Leader name tag. The $55 fee is non-refundable. Each week will include a combination of background readings, videos, and an exploration of the Nature's Notebook website and its resources. You will be required to complete self-paced weekly assignments to demonstrate your competency, all of which will become part of a portfolio for you to use when you create a monitoring site for your organization. Each week you will also be required to participate in ONE hour long Online Meeting, with peers and USA-NPN Communicate and Connect Staff, to share ideas, ask questions of the experts and celebrate what you've learned. Meetings are offered on Mondays at 3 pm PST and Tuesdays at 9 am PST - you select the one that best meets your schedule. You will be graded on participation, timely submission of assignments, and in some cases, scoring an 80% or higher on your work. You must attend 7 out of the 9 scheduled online meeting sessions to receive 100% credit for that section. In order to receive a Certificate of Completion with 80 hours of Continuing Education Units, and receive some USA-NPN gear, you must obtain an 80% for the course, overall. Specific details on coursework will be shared when you are approved and enrolled in the course. If this is too much of a time commitment, consider our annual Local Phenology Leader Short-course instead. This 3-week, 10-hour course does not result in certification but helps you find what you need to start a monitoring program for your organization. Visit the LPL Summer Short-course landing page for more details and to add your name to that interest list. The next available LPL Certification Course cohort is scheduled for Fall 2019. The Spring 2019 LPL Course is full. We will be accepting applications for the Fall cohort beginning in August 2019. The Fall Course begins on September 23rd and runs until November 20th, 2019. If you think you'd like to participate, in the meantime you may submit your Nature's Notebook needs assessment, a required component of your course application. You also should add your name to our Interest List below. When the application is ready in August 2019, we will send you information about how to formally apply then. a wide geographic spread and a diversity of organization types (formal, non-formal educators, scientists, researchers). If you have questions about the content contact education@usanpn.org.